Brown and red discoloration, spider veins, leathery rough texture, large pores, dull complexion, fine lines, wrinkles and laxity are all signs of damaged skin. The majority of signs of aging skin are a result of accumulated sun exposure from childhood to present day. The most common areas affected are face, neck, chest, hands, arms and shoulders. 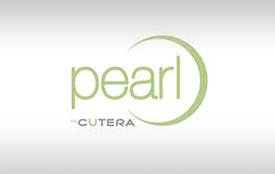 Our goal is to help our clients improve the health of the skin by providing the correct treatment for their particular issue. As skin health improves, it looks healthier, smoother, firmer and more reflective: We regularly minimize the effects of sun damage and improve the overall health of the skin with Chemical Peels, Limelight, Laser Genesis, Pearl and PICO Genesis™ laser treatments. Treatments are augmented by professional skincare products designed to both treat sun damaged skin and rejuvenate skin to a healthy result. Maintenance products from our Medical Grade Skincare lines help enhance results from treatments. Daily sun protection is a key factor in maximizing your results. 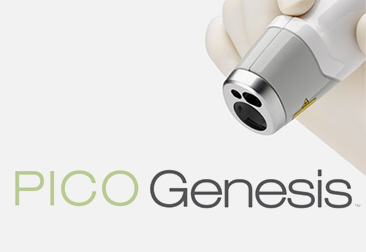 PICO Genesis™ introduces an entirely new approach in the treatment of sun damage, hyperpigmentation, Melasma, discrete lesions and skin revitalization on the face, hands and body, for all skin types. Helps reduce fine lines and wrinkles, aging, and expression lines, while improving your skin’s moisture, texture, and tone.